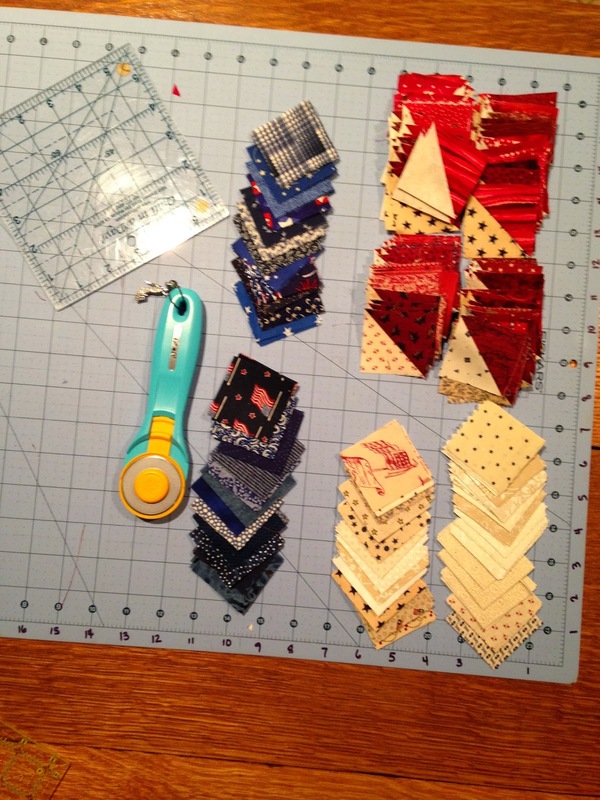 I have been working diligently on my first Scrap Addicts Project. Yes, it's red, white and blue. 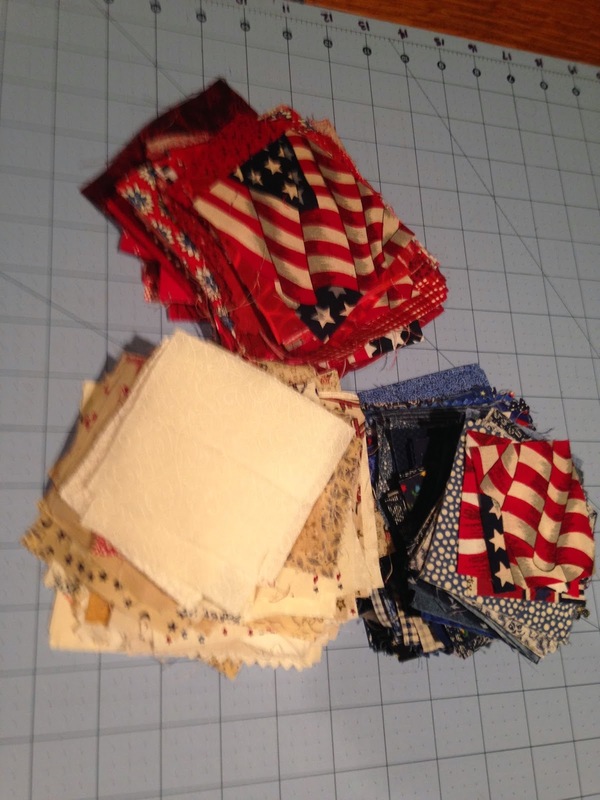 If you follow me on Facebook, you will recall I put out an SOS on Facebook to my hometown quilters for some scraps in red, white, and blue. They came through with flying colors.... red, white, and blue colors... of scraps. You know what the trimmings look like for 96 half square triangles.... Now that's quite a pile of trimmings. And here are all my block components need for the blocks. The blocks are all put together now. And I've moved on the the alternate snowball block. Here they are. I'll show you a tutorial on Tips, Tricks, and Tuts Tuesday on how I made them quick and easy. 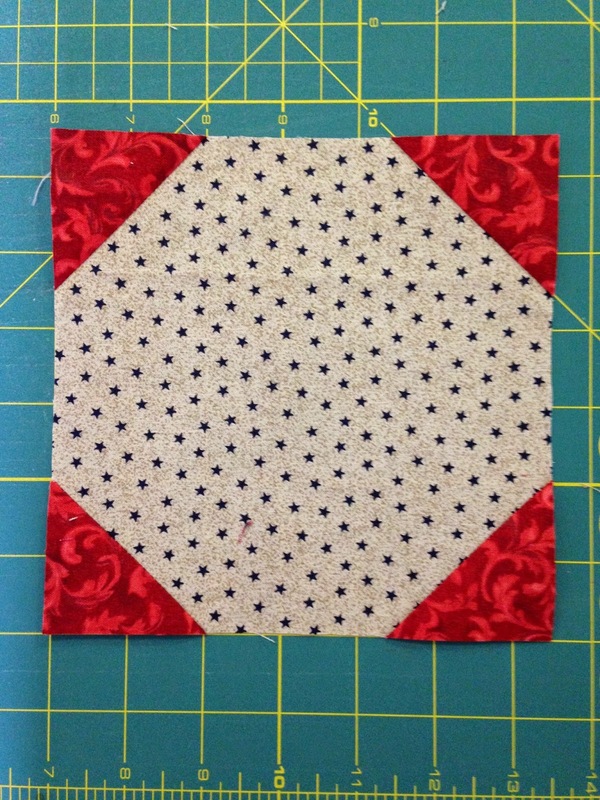 Next I'm working on the pieced border. It involves some 4-patch units so I'm cutting and cutting again. I need to finish this quilt this week so I can quilt it when I go back to Texas and before the moving truck shows up to disassemble Queenie. Quiltmaker Magazine needs it for the Scrap Addicts Project in the March/April issue.